In connection with the Easter holidays (Good Friday, Easter Monday) in the USA and Europe, a number of changes will be made to the trading schedule *. 19, 22.04.2019 - no trading. We’re informing you that on March 10th 2019, the USA will transfer to the daylight saving time, European countries will switch to the summer time on March 31st 2019. Thereby, there will be some changes to the trading schedule. Dear Customers and Partners, We inform you that on October 28, 2018, the transition to winter time in European countries will be made, and in the USA this will happen on November 4, 2018. Roboforex * Trading Schedule for Metals (XAUUSD, XAGUSD) - From October 29 to November 2, Metals trading will open and close 1 hour earlier server time: 00: 02-22: 59 * Trading schedule for CFDs on US indices and CFDs for oil (Brent, WTI) - From October 29 to November 2, trade will open and close 1 hour earlier in server time: 02:00 - 22:15 * Schedule for the USDRUB currency pair - From October 29, USDRUB will be traded according to a new schedule. Trading time per server: 09:00 - 18:00. -Please note that on November 2, trading in all instruments will be closed from 23:00 to 23:59 server time. R trader * Trading schedule for US stocks, indices and ETFs - From October 29 to November 2, trade will open and close 1 hour earlier in server time: US promotions: 15:30 - 22:00. US indices: 09:00 - 22:00. * Trading schedule for currency pairs Forex On November 2, trading currency pairs will be closed at 23:00 server time. * From November 5, trading in Metals, CFDs on US indices, CFDs on oil, on US stocks, indices and ETFs and currency pairs will be available within the ranges of current contract specifications. 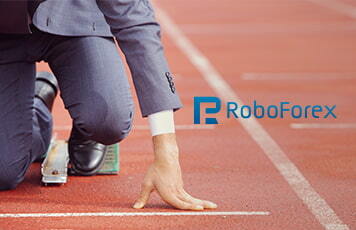 Dear Clients and Partners, RoboForex continues getting feedback from its clients and their opinions of the Company’s products in order to improve and make them more efficient and easier-to-use. Today, we’d like to tell you about the recent update of R Trader platform and five new things it has to offer. Today, we’d like to tell you about the recent update of R Trader platform and five new things it has to offer. What’s new with R Trader? 1 New features in our Strategy Builder Now, comparison of indicator indicators with the same parameters on different bars became available. 2 "Depth of Market" (DOM) The "depth" of the second-level market (Level II) allows you to track even the smallest price movements, thereby providing traders with a more detailed view of the situation on the market. 3 Trailing Stop Trailing Stop is one of the essential elements of risk management and increase of trade efficiency. 4 Time & Sales This instrument is available for the Stock market and Crypto currency. It shows the price, direction, volume and time of transactions made for the selected instrument. 5 Managing Watchlists using keyboard Add instruments to your Watchlists by pressing "Enter" right from the search bar.